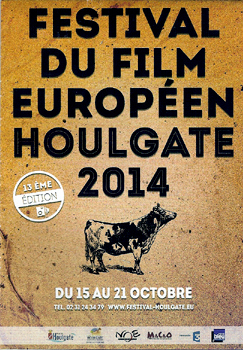 In the charming Norman city of Houlgate, in the Pays d'Auge, was organized from October 15 to 21, the 13th Festival of European Film. The aim of this event is to allow all public discover the European film heritage by offering every autumn a quality can't-miss cultural appointment in a friendly atmosphere allowing to meet different operators from the world of film. This festival is organized in partnership with the city of Houlgate, the cinema and its operator Nord Ouest cinémas, the Casino, the Houlgate Tourist Office and France 3 Normandie chanel. On the 21, the closure day, was screened the Alban Vian documentary « Les Fantômes de la Manche » (C-3D Convergence images). This 52-minute documentary brilliantly evoking an untold page of History - offensive U-Boote operations after the Allied landing on the 6 of June - has captured the attention of viewers. The original topic perfectly fitted with this festival, unique and ambitious event which broadcasts films of different genres, focusing on the various facets of the cinema screen, the film industry and stretching to personal reflection. The audience never leave indifferent as each projected subject calls upon. An acknowledgment again made after the broadcast of « Les Fantômes de la Manche » (« Ghosts of the Channel »). L'Expédition Scyllias was represented by its founder chairman, Jean-Louis Maurette, playing in the documentary and answering questions from the audience during a debate animated by Sylvain de Cressac, director of cinéma du Casino, accompanied by Laurence Racine, director of the Houlgate Tourist Office, both organizers of the event. A particularly successful evening where the audience could share, question and express its interest in contemporary maritime history and especially in the fabulous Norman submerged heritage. Jean-Louis Maurette surrounded by Laurence Racine, director of the Houlgate Tourist Office and Sylvain de Cressac, director of cinéma du Casino. 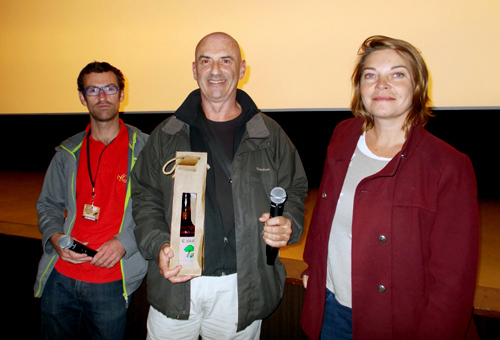 After the festival we couldn't help but taste this delicious bottle of calvados, a	trophy given to each participant.